"RYAN ROCKT IT! with MIKE ROCKET - WURTELE", singer/songwriter/actor. If you liked this show, you should follow Nancy Ryan. RYAN ROCKS IT ASBURY PARK STYLE (live talk radio show) interviews Mike Rocket - Wurtele Tuesday evening November 17 TH at 5:30 PM. 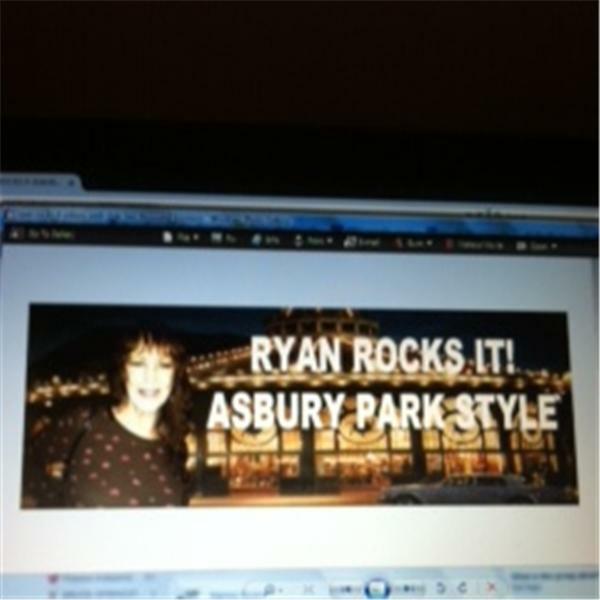 To listen live call 213.943.3559 or go to blogtalkradio.com/ryan-rocks-it-asbury-park-style. Mike is an American Singer/Songwriter and Rock performer plus actor in Rock on Musical. Mike is a friend of mine and we sure did have some FUN singing one of my favorite songs of his "Gotta Get To The Jersey Shore" at a benefit at Bar A a few years ago. The stage was filled with many eager singers. The song is a fantastic song, one that sticks in your mind. It really gets you going and you could sing it forever. Check it out on iTunes. I have been watching Mike for the past four year and he is an amazing talent with so much great energy. You can't help but like this all around humble Musician. Mike always has a smile on his face and greets everyone with his genuine caring. I am really looking forward to interviewing Mike and learning about his childhood memories and how he came to be the fantastic "MIKE ROCKET" that he is today. Mike is from Philadelphia, PA, however, spends most of his time entertaining in PA, NJ and NYC where he currently resides. Mike is th e creator of "Lick Animal Abuse Away" LAAA so please check out Mike's fb page for site addresses. So mark your calendars people and have some FUN, FUN, FUN with me and Mike. You can listen live by calling the guest call in # 213.943.3559 or going to the blogtalkradio address above. If you miss the show, no worries as the broadcast will appear on my Nancy Ryan fb page minutes after the show and is archived for your listening pleasure and convenience. Regards, Nancy aka Redheaded Night Owl !